The Toronto Zoo has been supporting COTERC since its founding in 1991 by a staff member. ​For over 20 years, the Toronto Zoo has offered its in kind support by providing a venue for COTERC events and volunteers to assist with Canadian initiatives. The Toronto Zoo also funds educational initiatives through its Endangered Species Relief Fund which helps COTERC to bring awareness of conservation issues at the Costa Rican facility and neighbouring wildlife refuge. COTERC and Partners in Flight monitor migratory birds as they pass through the station property. COTERC provides access to Cano Palma Biological Station where mist nets are set up to capture birds. Representatives from Partners in Flight catalogue the species that are captured and fit each bird with leg bands if they do not already have one. 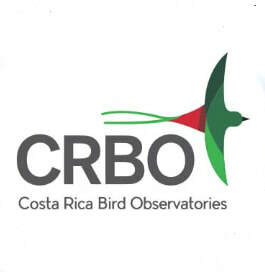 The Costa Rica Bird Observatories is a nationwide monitoring initiative created and managed through partnerships among many partners, including COTERC. The Observatories’ primary objective includes the promotion of bird conservation and education in Costa Rica through scientific monitoring.